This was a nice and simple breakfast, but pretty tasty. 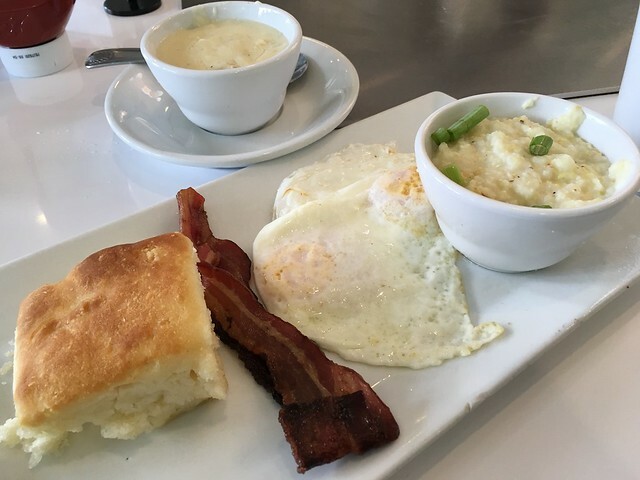 I loved the grits and the gravy was yummy too! This entry was posted in Staks Pancake Kitchen and tagged bacon, biscuit, biscuitsandgravy, brunch, eggs, food, gravy, grits by vicentesf. Bookmark the permalink.